Many people have discovered that a more alkaline diet works well for them. This naturally leads them to have a few questions about the benefits of alkaline water and how it can further add to their health. 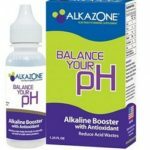 While it is highly possible to go into the technical aspect of why alkaline water is good for you, it is much easier to answer the questions on a simpler basis. Below you will find some basic facts about an alkaline diet and why finding the right balance is key to optimum health. 4 Did You Know Some Acidic Foods can be Alkalizing? 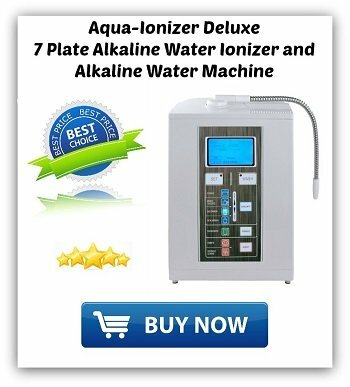 Alkaline water, which is also known, as ionized water is a type of water that has a ph level higher than 7. To put this in perspective, soda pop which is acidic has a Ph of about 3. Whole milk on the other hand which is alkaline, has a Ph of 7.3. Drinking alkaline beverages is said to be great for people who are on diets and is said to have many health benefits as well. 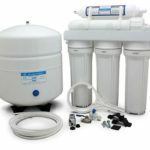 This type of water is usually produced with alkaline water machines and has become a quite popular way of life for many people. Drinking alkaline water can help us to maintain the acid-alkaline balance in our bodies. Alkaline water is not known to change the Ph of the stomach. The Ph of your Stomach acid is between 1 and 3. When you eat, this raises to 4-5. Once the food is digested, the ph of your stomach drops back down. Your body performs a natural balancing act. In fact, when you drink alkaline water, the body produces more hydrochloric acid to bring the balance back to four. We all know the feeling of overindulgence. You feel tired, your stomach may be gurgling, and all you may want to do is take a nap until the feeling passes. But did you know by eating too many acidic foods without their balancing counterparts, it could actually make you sick? An overly acidic diet may contribute to many digestive disorders. When you consume a large amount of acidic foods and beverages such as coffee, processed foods, sugar and fatty meats it can lead to reflux disease and heartburn. A highly acidic diet can also lead to high cholesterol levels and high blood pressure. Did You Know Some Acidic Foods can be Alkalizing? Some foods that are classified as acidic actually have an alkaline effect on your body. The act of digestion can change the acid or alkalizing effect of the foods you eat. 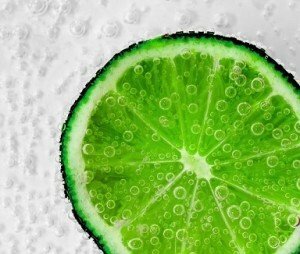 For example, lemons and limes may be acidic, but when they are digested, they have an alkalizing effort on the body. On the flip side, foods like milk and cheese can become acidic during digestion. It’s the minerals that are left behind that determine the final effect on your body. Minerals which remove hydrogen from your body like potassium or calcium are alkalizing. Acidic minerals such as sulfur add hydrogen and have an acidic effect. 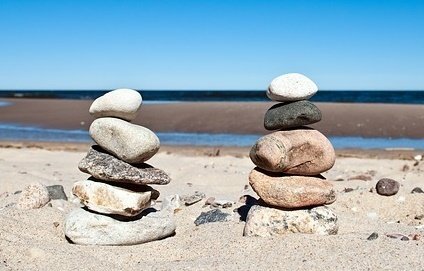 When you think of a balanced diet, most people think of the food pyramid. While the proportions may have changed over the years, the concepts remain the same. We need a variety of foods in our diet. We should consume varying quantities of dairy, meat, carbohydrates, fruits, and vegetables. The same is true when consuming acid and alkaline foods. It’s OK to eat fatty meats or cheese occasionally. Just remember to balance it out. If you are going to eat a huge hamburger, try adding a slice of avocado. The same is true with your drinking water. If you can add alkaline water to help balance out the acidity of beverages you make at home like coffee and tea you can help offset the negative effects. This is a great way to detoxify your body. Your body picks up tons of toxins on a daily basis, drinking alkaline water will help you to flush those many toxins out and help you to feel better about yourself and to feel better physically as well. Alkaline water contains anti-oxidants that make for a healthier you as they work to battle the radicals in your body. Alkaline water helps you to keep your body hydrated; something that everyone knows is a basic necessity as you strive to stay healthy. Alkaline water helps to neutralize the acid buildup in your body, something that can make you feel beyond awful if you aren’t careful. According to the National Institute of Health, human life requires a Ph of between 7.35 and 7.45 pH to maintain good health. This is just slightly on the alkaline side. Ideally, we would be able to drink perfectly clean mountain spring water. But since most of us live don’t live in utopia, we need to rely on the next best thing. And thanks to modern technology, we can transform our ordinary drinking water to it’s more natural alkaline state.